Each of Marilynne Robinson’s Gilead trilogy has a different protagonist, but if there is one central character, it would be John Ames. He has spent his life in the town of Gilead, devoting himself as a minister to the people of the town. 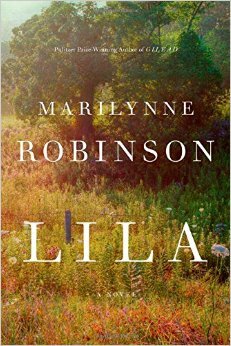 Robinson has a similar devotion to the town, insisting that in the small lives of the people of this non-descript Iowan town can be found much of what we can hope to know about existence. As well as beautiful literature. Robinson has created a landmark in American literature with this triptych, and it will be remembered in a century’s time. Lila (2014) is the story of Ames’s eponymous much younger wife, an itinerant woman brought up on the road by an adopted mother, Dolly. She is haunted by her time in a prison-like brothel in St Louis. She is full of shame of her background, her ignorance, and her poverty. She is drawn to the lonely Ames, tending the graves of his wife and child, listening to his sermons, while always on the verge of running. She cannot let go of the shame; her past takes the form of the knife she carries everywhere, Dolly’s knife. Even after she is baptised by Ames and then married to him and carrying his child, the knife sits in the kitchen, and she wonders when she will need it again. The novel is steeped in the Christian story. Like Gilead, it narrates grace, making plausible a world where a loving Creator can be glimpsed in sacramental moments. If some atheist readers will find this off-putting, it is still amazing that many (judging from reviews) do not. One of Lila‘s great accomplishments is to sustain a novel so deeply concerned with the meaning of existence solely through the narrative voice of a woman with limited education and a narrow experience of the world. Lila ponders what is life for, and the largely educated, elite readers of her story will find new clues and a new angle on existence for seeing these things through her eyes. And that is something the best fiction does. Nathan, I’m an unswerving atheist and ‘Gilead’ and ‘Home’ are among my favourite books ever. ‘Lila’ is on my shelf waiting to be read: I will read it when I feel I deserve a special treat. These books have so much to say about how to be good, to live a good life and be a good, ethical person. They always make me want to do better, without ever making me feel guilty about who I am. They’re truly inspiring. Jane, that’s inspiring to hear. There aren’t that many contemporary Christian writers who write in such a way atheists would identify with their work. Understandably, those that do seem to often write out of doubt and a degree of cynicism toward their own faith (I’d put Winton in this category); but Robinson manages to write so beautifully without doubt or cynicism.